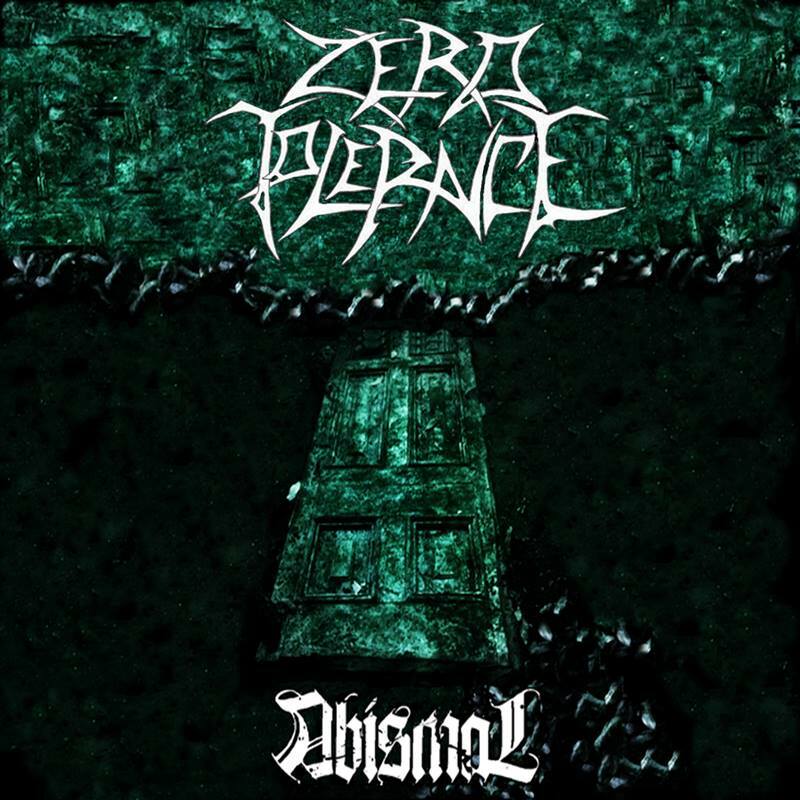 Zero Tolerance is a Death / Thrash metal band from Quillota, V Region, Chile, which begins its journey in 2010 and starts the composition of their debut album ”ABISMAL” that debuted in 2015. The album is a death/thrash metal piece with groove influences. The album contains ten tracks, and each one has something original that truly represents the band. The 1st track is [Intro]. The song starts with great attitude, an aggressive sound with heavy riffs, the track’s length is 3:37min. At the middle of the song a fast and killer guitar solo appears to lead the song to its last minutes where the rhythm gets faster and with a death vibe. The entire song is instrumental. The 2nd track is [Cataclismo]. The song length is 5:15. Now in this song the tempo has slowed down at the beginning, and suddenly, the guitar’s riffs appear killing everything on its way with a groove vibe. Along with the drums rhythm and the unique vocals, which are pretty good through the rest of the song, and the rhythm changes through the song, ending with a guitar solo and a wicked version of the main riffs and drums beats make this track a solid piece. The 3rd track is [Falso Creador], one of my favourite, the song length is 3:54min. Started with great riffs followed by catchy drums beats, which maintain its loop till the vocals appears, and this is the point where the death/groove vibe takes the reels. At the middle of the song the guitar comes with a solo followed by the drums rhythm and in sequence it falls in catchy riffs with great harmony between the killer vocals and ands with a slowed down tempo but without leaving the death/groove vibe. The 4th track is [Zero Tolerancia], the track with the same name as the band’s name length 6:33min. This song completely represents the bands, the aggressive guitar riffs followed by a killer drum rhythm and wicked bass lines, make the song falls in the death metal category, then comes the vocals in high ranges, the lyrics refers to Zero tolerance to all the injustices and politics negligence. The 2nd part of the song starts with a guitar solo blended with the main drums rhythm, followed by the vocals that get to a higher range and the tempo slowed down to a groove sound to end the song. The 5th track is [Agonia], this track length 4:09, one of the grooviest song the album has. With serious attitude and the vocals fitted perfectly to the tempo of the song. The rhythm of this song vary in three ways, start groovy with aggressive attitude as mentioned above, then falls in a slowed down tempo but with a catchy sound, then gets to its first sound but with a melodic guitar solo. The 6th track is [Ahogando El Tormento], now this song gets darker sound, you can feel it since the beginning of the song, with darker riffs and drums beats in synchronisation. Then come the vocals, but this time fuel of hate, expressing the right emotions of anger. The whole song maintains the dark sound that leads to a death metal vibe. Near the end of the song you can appreciate some melodic riffs, and a speeded up tempo. The 7th track is [Colision], this song in my opinion has more melodic riffs than the rest of the songs in the entire album, it is heavy and the sound is catchy. The drums rhythm are well executed. The melodic riffs make the song different from the rest of the album’s and the vocals give it that original sound. The 8th track is [Morfina Immaterial] this is without any doubt the 3:41 darkest minutes in the entire album, this is one of my favourite, to not say my main favourite of the entire album, along with the 10th track. This song has the darkest riffs, with a really slowed down tempo in comparison with the rest of the songs, the lyrics are the most aggressive and expressional, one piece of wicked art that will seduce the listener, that will seduce those people who really likes aggressive and dark riffs. The vocals fitted extraordinary, the drums and the bass lines very well played. The 9th track is [Esclavos del Poder], I particularly perceive this song as a sequel of the 8th track, the rhythm,sound and riffs remains with the only difference that this song in some points gets more thrashy and groovy. Still another great proposal to this album. The song length is 4:01. The 10th track is [Abismal], which is the album’s name as well, is the most popular song in the fans base of the band. And you won’t be disappointed. The song has very good composition both in sound and lyrics, with thrashy riffs and groovy beats with an aggressive bass line at the beginning of the song, then with a death/groove vibe in the middle and a guitar sole that give you chills when you listen to it. The song is at the end of the album, and it feels it is the first one. In general, the album is a great start for this young death/thrash band. It has the originality and the creativity that bands of todays need. You won’t be disappointed if you give this album a try.